The spiral barbell is made from externally threaded 316L stainless steel. Both gem ball ends are removable. The faceted gems are available in clear only. Pretty but wasn't able to use. 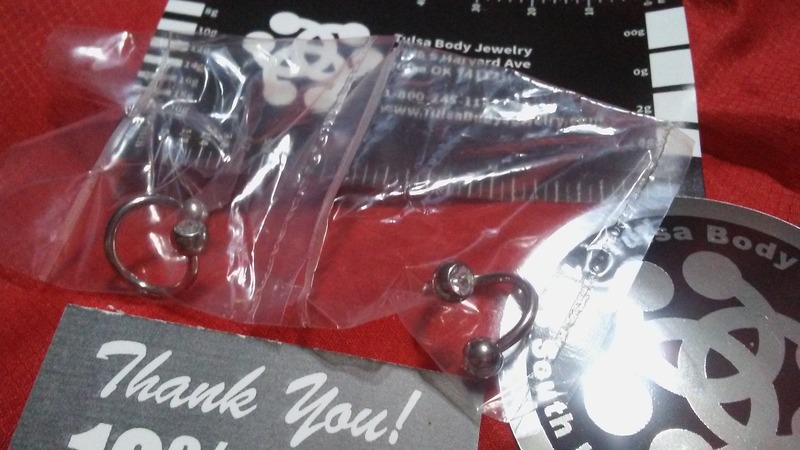 The jewelry I recieved is beautiful, the only peiblem is that I ordered the wrong size for my daith peircing. So at the moment this jewelry will have to wait until I get more peircings that I can use them in. HIGHLY RECOMMEND purchasing your jewelry here!! !